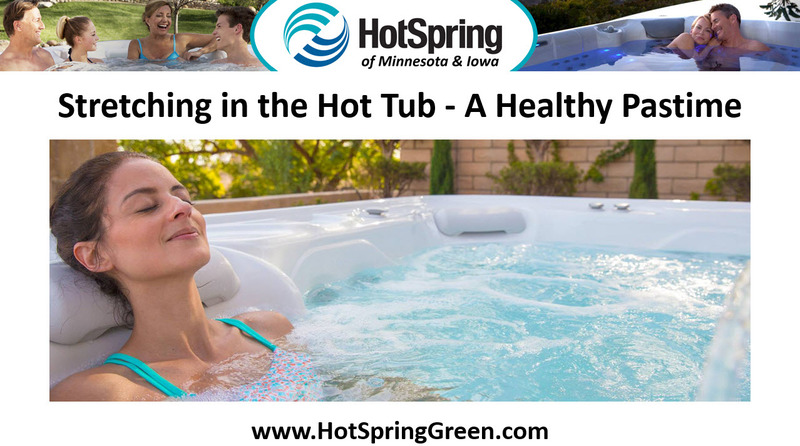 The benefits of regular hot tub use are well known, and spa enthusiasts know better than most how a quick soak can boost the spirits, reduce stress and even promote a good night’s sleep. But how about exercise? Can the hot tub help with physical fitness? Here’s why stretching in the hot tub is a healthy pastime. Increased Blood Flow – As more blood flows to damaged cells, muscles and stiff joints feel better. Heat targets on contact, relaxing and soothing the body for allover rejuvenation and repair. Regular stretching in the hot tub may result in more flexibility and increased range of motion too. Loosen Muscles, End Pain – Powerful massaging jets penetrate deep beneath the skin, targeting muscles with pinpoint accuracy. Loose muscles recover faster, and a soak is a convenient way to give an overworked body the chance to rest. Heat also creates perspiration, which helps eliminate toxins from the body. Light Cardiovascular Conditioning – When physical activity on land is painful, stretching in the hot tub is an excellent way to get the same cardiovascular benefits as traditional exercise on land. As the body warms, blood flow increases and muscles loosen even as the heart’s workload decreases by as much as 20 percent!